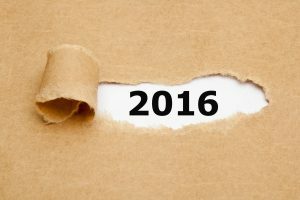 Good-ish things in 2016 - McCormick L.A. This past week I have seen numerous posts and articles about how bad 2016 was. I agree that it would have been nice if the most controversial debate was whether females could be Ghostbusters, but 2016 just wasn’t that kind of year. Sure, the loss of so many very talented people was heart-wrenching and shocking. And the election season (all year) was tumultuous, but there were some good things, weren’t there? Good-like? Good-ish? For example, we had the Olympics in Brazil and we dodged the worldwide outbreak of the Zica virus that we feared. There also weren’t horrible cases of dysentery, or worse, from those participating in the beach water sports that weren’t quite meeting the standards of clean water. There was an incident involving American swimmers and a gas station, and stories that wavered between vandals and heroes, but it seems like that ended up okay. Let us not forget about the launch of Pokemon Go! It was a good thing … wasn’t it? Beyond causing people to walk off cliffs, interrupting funerals, and luring peeps into dangerous situations, it provided hours of enjoyment and encouraged kids to go outside and exercise. Yes, we will cling to those benefits. Yay 2016! We learned so much about our American history this year—at least about the forming of the treasury department. That’s thanks to Lin-Manuel Miranda, of course, and a little musical (originally a mix-tape) he wrote called “Hamilton,” which won 2016’s Pulitzer Prize for Drama, and multiple other awards. Maybe he can write another called “The Electoral College” since a large part of our voting population seemed to be absent when this was explained in their civics classes. Apparently, too many missed this title from the Schoolhouse Rock repertoire. Harry Potter came back in the form of a play, published as a book, called Harry Potter and The Cursed Child (Playwrights: J. K. Rowling, Jack Thorne, John Tiffany). I personally loved it! The play itself was performed on the stage in London with rave reviews. J.K. Rowling’s magical world was also expanded on the screen in 2016 with the screening of the movie Fantastic Beasts and Where to Find Them, which is still on my list to see. is only $59.99 for a variety of technology packed into a shoebox-sized toy, but a 4” plant from the local garden center is less than $5. Cheers to 2017 and try to keep your eye on the marvels of life, and the good-ish things that happen.